I love the nail polish and the leggings, too bad they cost $100! that polish is gorgeous, and those leggings are FREAKING AWESOME! Those leggings are super cute! That glitter polish is everrrrrything! 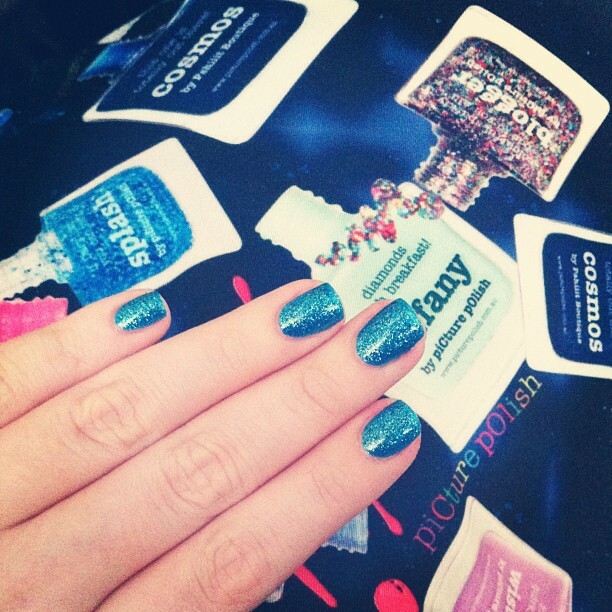 The polish looks stunning -- I love the look of the glitter with that shade of blue! 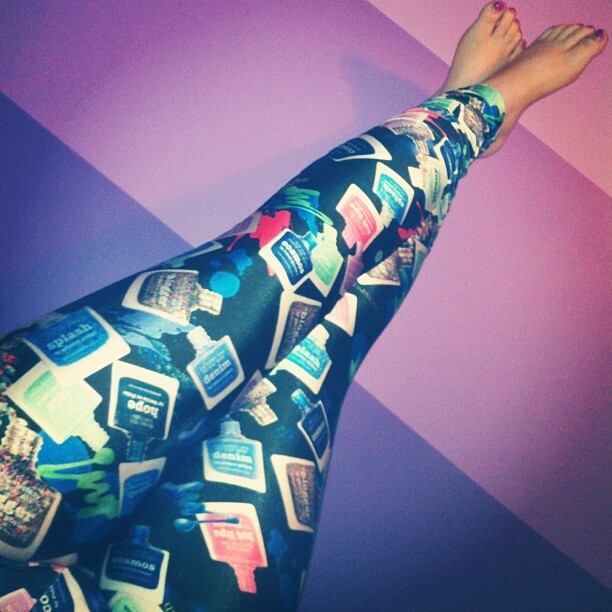 The leggings look FABULOUS! I want this set so badly! That polish.. I don't think I'd ever stop wearing it.